When visiting the Disney World theme parks, you have to be on alert to catch all of the special surprises that are hidden in the attractions and surroundings. If you are rushing from one attraction to another you may miss one of the best parts of Disney World: "The Details". Many of you are familiar with Hidden Mickeys (Mickey Mouse head shapes that are worked into various items throughout Disney World), but there are many other secret surprises out there for guests who have a sharp eye and an inquisitive mind. 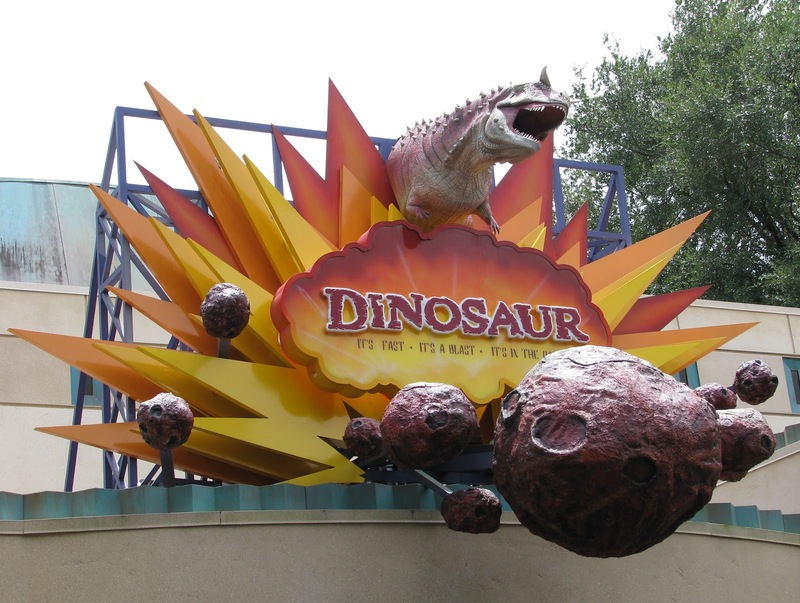 In the final stage of the ride queue for the DINOSAUR attraction, you will notice a lot of pipes. As you descend the stairs to the floor level where you will board the ride vehicle, look back in the direction in which you entered that room. You will see three pipes running horizontally across the room over what appears to be a large electric transformer. You will notice that there are words and chemical symbols on the pipes. The surprise is that these chemical names were rumored to refer to the ingredients for ketchup, mustard, and mayonnaise in a tribute to McDonald's who was one of the original sponsors of the attraction. If I was on the show Myth Busters, I would have to say that this Myth has been CONFIRMED. Those chemical names and symbols on the 3 pipes actually do refer to the ingredients for Ketchup, Mustard, and Mayonnaise. This is just another example of the great level of detail that the Disney Imagineers went to make the attractions realistic and fun for their guests. 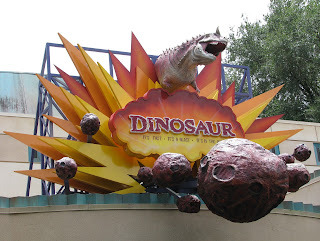 So next time that you are in line to ride DINOSAUR, point to the red, yellow, and white pipes and amaze your friends. You get extra points if you print this out and are able to translate each of the ingredients for them. 3 comments to "Disney's Animal Kingdom DINOSAUR Attraction Has A Code For You To Solve"
Hi, I am Angeline. It was great reading this article about online shopping. It is my pleasure to tell you that I am very font of online shopping. This articles reveals with the online shopping of smoking pipes. It is very cheapest way of Shopping the smoking pipes. I advice you it is better to refer http://grassgoodies.com/ . Thankyou. These pipes are actually left over from the original ride that was here and sponsored by McDonalds. They left the pipes as a thank you/tribute etc to the company.